The Department of Civil Engineering offers on-campus programs at the undergraduate and graduate levels. Opportunities are also available for off-campus education at the graduate level. The Department of Civil Engineering offers an undergraduate program that awards the Bachelor of Civil Engineering degree. Graduate online program - This is an off-campus for-credit program with coursework offered at your home or office via streaming video, leading to a Master of Civil Engineering (MCE) degree with an emphasis in environmental engineering and structural engineering. 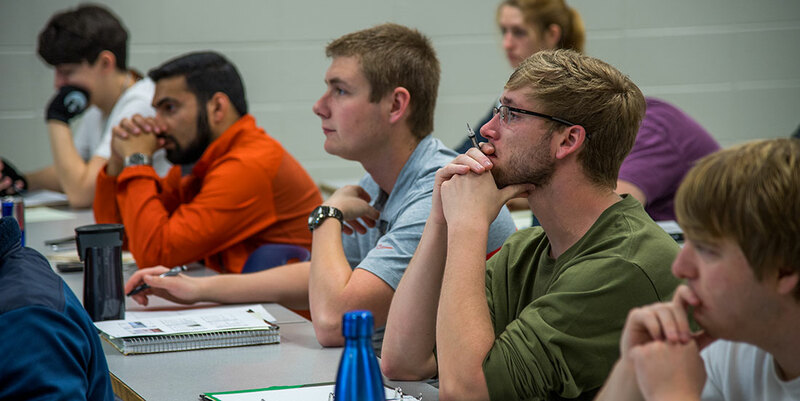 Engineering continuing education - These are non-credit professional development courses, conferences and workshops in both business (management) and engineering. These courses do not count for credit toward a college degree, but they do provide continuing education units.